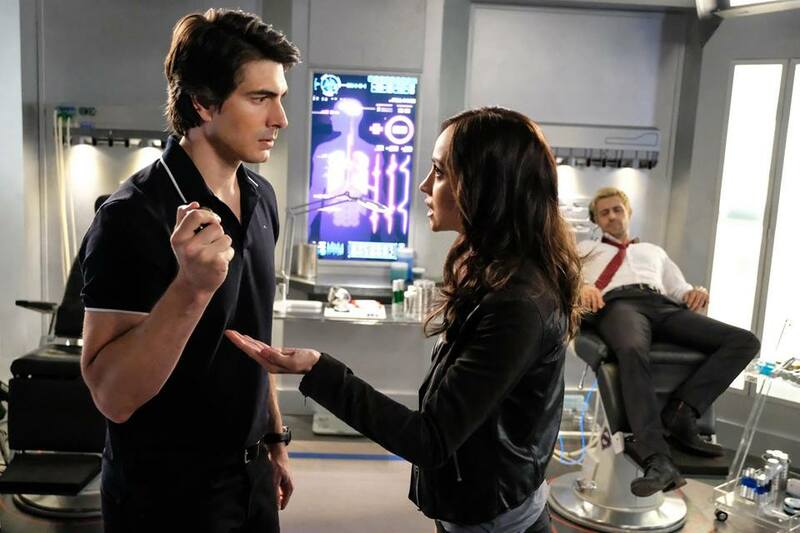 Now that Supergirl has gotten its own Thanksgiving episode out of the way, Legends of Tomorrow will be one of the next to cross that item off its checklist later this evening. In fact, we’ve got a healthy amount of images from said adventure for your viewing pleasure right here. 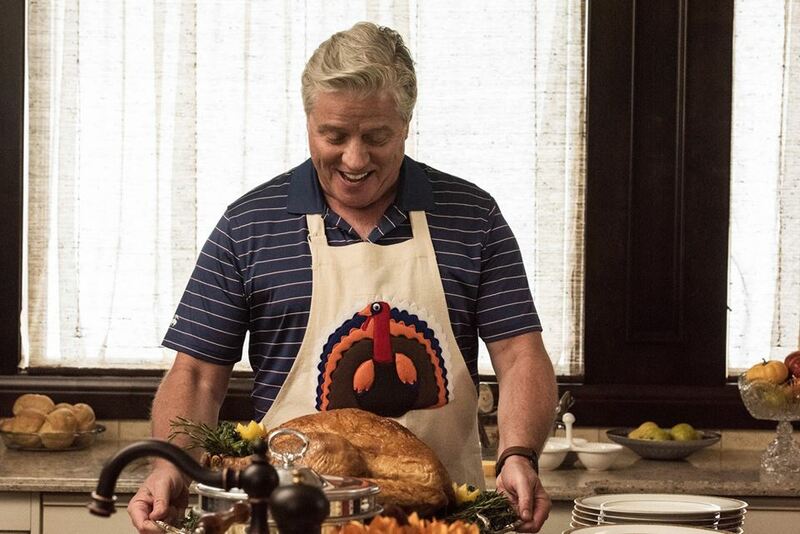 Funny enough, some of the photos included in the bountiful gallery below actually look like they could be used by retailers for various Turkey Day ads. 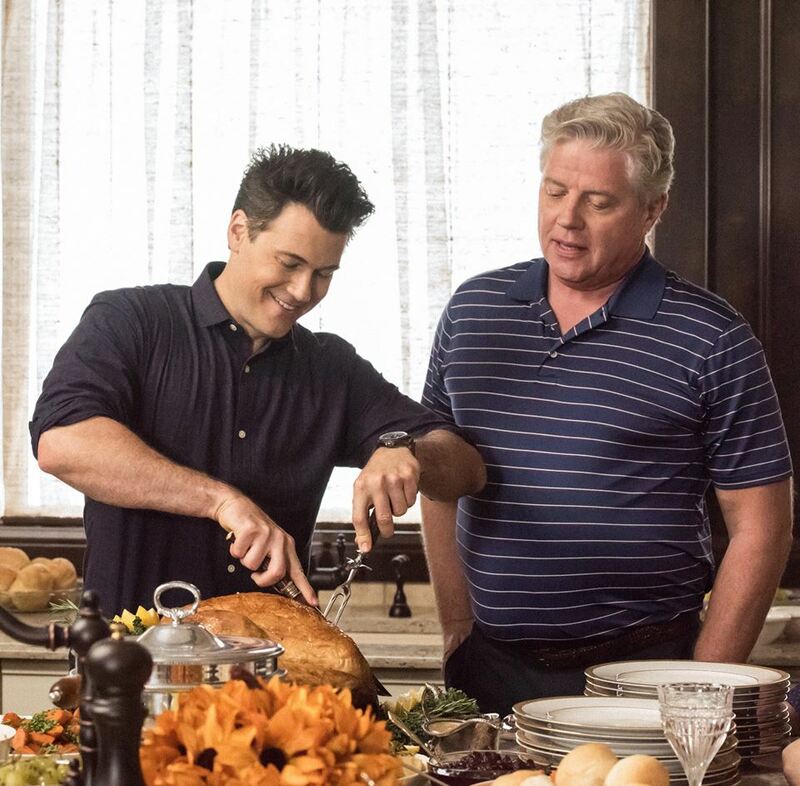 I don’t know about you, but Nate’s father looking very, very enthused to carve that bird really seems to amuse me for some reason. Seriously, he looks like your All-American dad hailing from Anytown, USA. 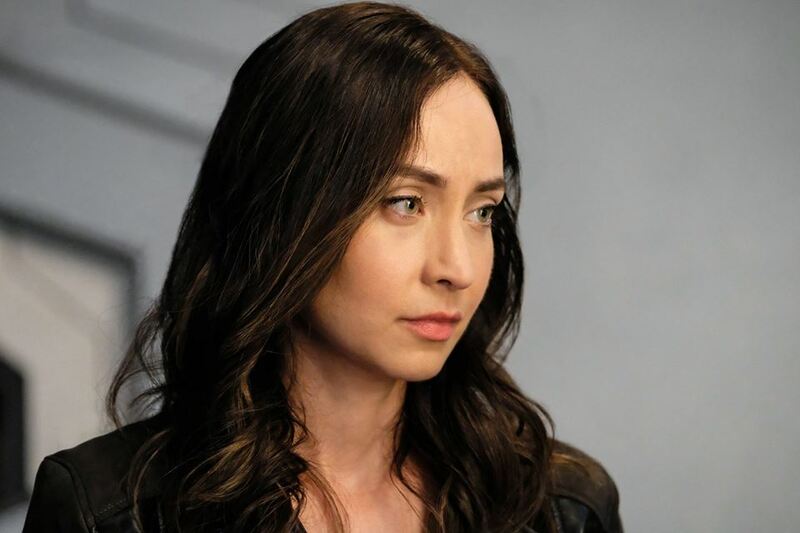 But if there’s anything of definite interest, it has to be that of Courtney Ford’s return as Nora Darhk. Fortunate for us, she’s pictured in a few entries in the following slideshow. 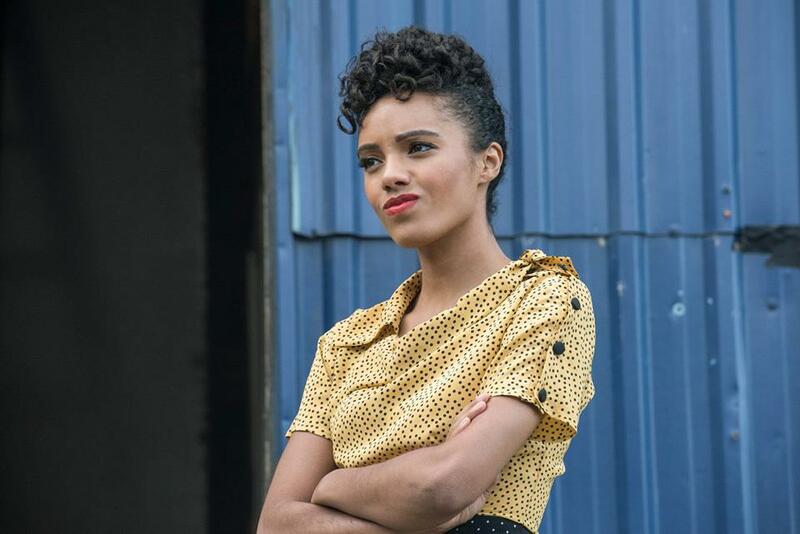 She did make a very brief cameo at the end of last week’s episode when she was revealed to be laying low at a Renaissance Festival, but now it’s expected that she begin factoring into the grand scheme of things. 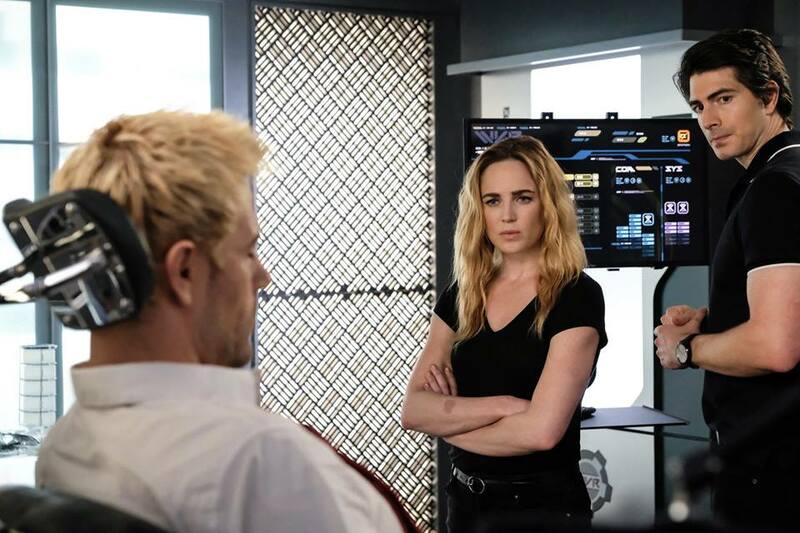 As you can see, Ford continues sharing scenes with her real life husband, Brandon Routh, though I’m admittedly indifferent when it comes to the possibility of their respective characters starting a romance. Maybe it’s just me, but I think it’s too obvious. Suffice it to say, I’m glad Supernatural avoided doing just that with Jensen and Danneel Ackles. 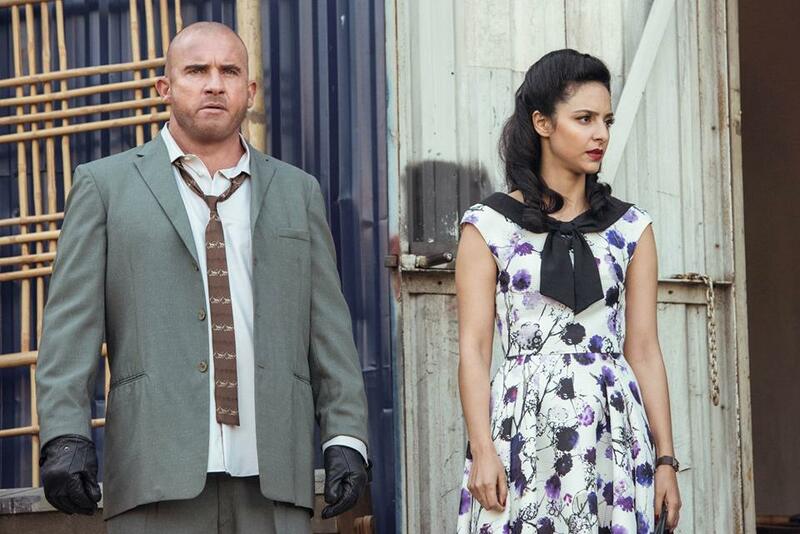 SOMETHING’S FISHY – A new fugitive is on the loose in 1951 Tokyo and Sara (Caity Lotz), Zari (Tala Ashe), Rory (Dominic Purcell) and Charlie (Maisie Richardson-Sellers) try to capture it. As Constantine (Matt Ryan) struggles to recover, Ray (Brandon Routh) knows that magic might be the only thing that can save him but must look outside the team for help. 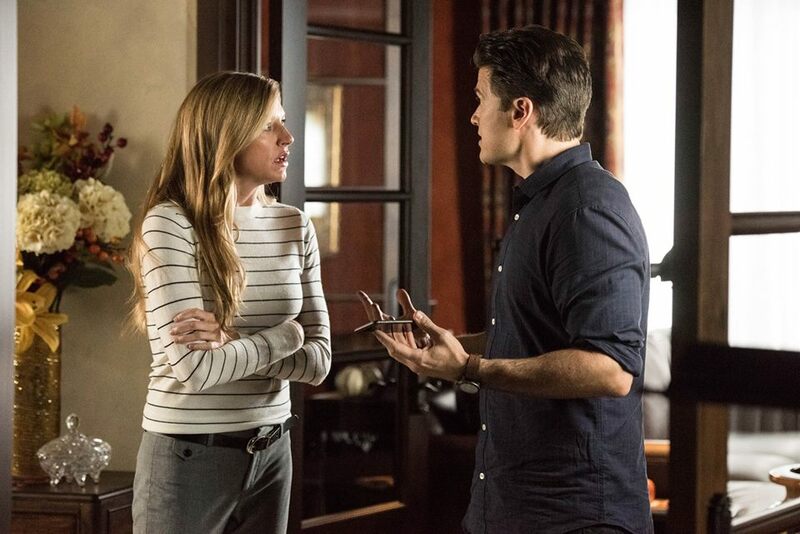 Meanwhile, Ava (Jes Macallan) joins Nate (Nick Zano) and his family for an unconventional Thanksgiving dinner. 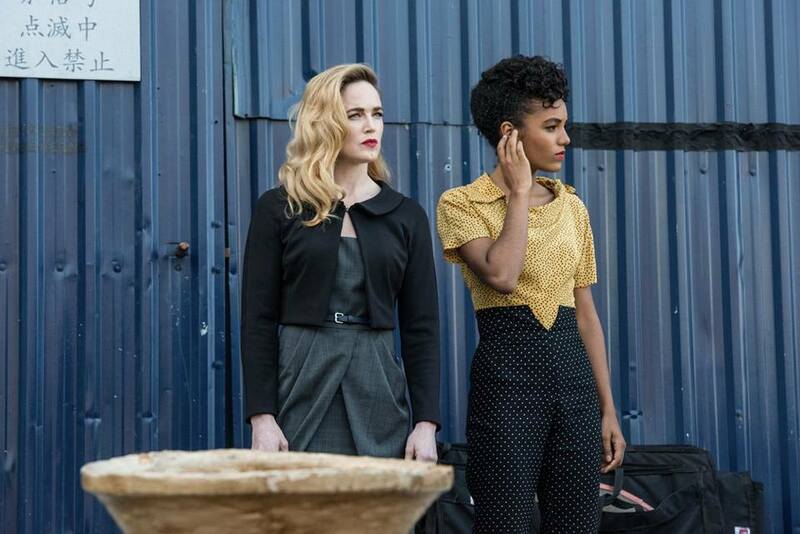 Courtney Ford and Ramona Young also star. 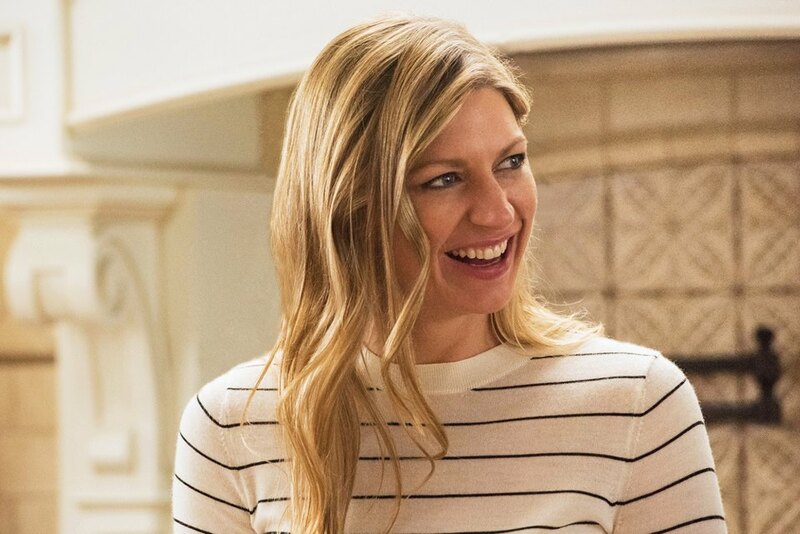 Lexi La Roche directed the episode written by Keto Shimizu & Ubah Mohamed wrote the episode (#405). Original airdate 11/19/2018.